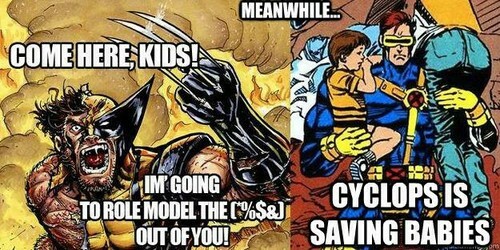 Cyclops vs. Wolverine. No hate intended! Saw it on Facebook and thought it was funny.. Wallpaper and background images in the X-Men club tagged: photo wolverine cyclops x-men james howlett scott summers logan role model. No hate intended! Saw it on Facebook and thought it was funny.